Hello fellow blogger friends! I'm very happy to say that I've recently been nominated for the Creative Blogger Award. So thank you to Giselle from Perks of Being a Reader. I really enjoy these little awards because it's a great opportunity to discover different bloggers, which is always fun! ♥ Post a link to the person who nominated you and give thanks. ♥ Share 5 facts about yourself. ♥ Nominate 10 other blogs and give links. ♥ Contact your nominees to inform them of their nomination. ♥ Provide the rules to your nominees. I enjoy these types of posts as I am definitely someone who has a 'listed' writing style. And because of this I have done many listed posts, some of which are similar to this, as in they include facts about me so hopefully I don't repeat the same facts again. 2. I love that I have a signature scent! I generally wear Victoria's Secret "Love Spell" body mist and it's amazing! I know it's the most popular one but it's not easily accessible where I live so it's not many people who have it. I don't know why but it's always a little bit fun when someone says "Someone smells really good." and then someone else says, "It's Sophie!" or "It smells like Sophie." But all in a good way. Or even if I wear a different one, people often say I smell really nice. I've even had people smelling my hair which is a bit weird sometimes haha. 3. I may have said this before but I'm half Norwegian and half Swiss. I moved to Australia at 6 weeks old, then since then I've been moving all over the place, Switzerland, Singapore and different places within Australia too. Mum says I've lived in over 19 (I think) homes, of course I don't remember all of them. But to me it's normal to move often. Moving a lot has definitely affected me in both positive and negative ways. But I love moving still! 4. I have a great passion for photography! I first got interested in it after a trip to the Great Barrier Reef many years ago. I was very intrigued as I watched the photographer taking photos, and then afterwards she let me come into the little room on the boat to see the photos on the computer screen. A couple of years later mum taught me how to use a DSLR camera and took me out to the forest to take photos. My mum also has a great passion for photography so it was pretty fun to share this hobby with her. After doing lots of nature photography, mum wanted to do newborns. So we decided to open a business together photographing newborns. We started a bit slow but now the business is doing pretty well. Unfortunately I can no longer come to all the session as I have school. So those are my facts about me! I've listed 10 bloggers who I would like to nominate for this award. There you go! Thanks heaps for reading this post, and also thanks again for nominating me! Okay first how did you get the heart shaped bullet points they're so cute!! Secondly I LOVE Disney! My favorite would either be Mulan (because she's badass) or Tangled (because it's so cute). 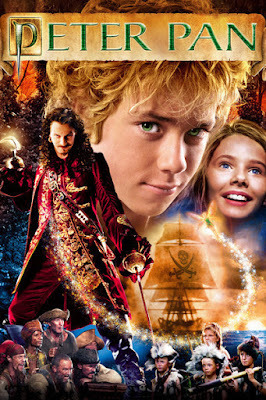 Peter Pan is definitely one of my top ten. I love the live action one. My favorite quote from the book is "For to have faith is to have wings". I think you should totally do a review here, it's cool to add some new things. Plus you're an articulate person and I would love to hear your thoughts on the novel. And yes I have to agree I love that quote! And great I'd love to do a review! Congrats on the award! I love Peter Pan, too! 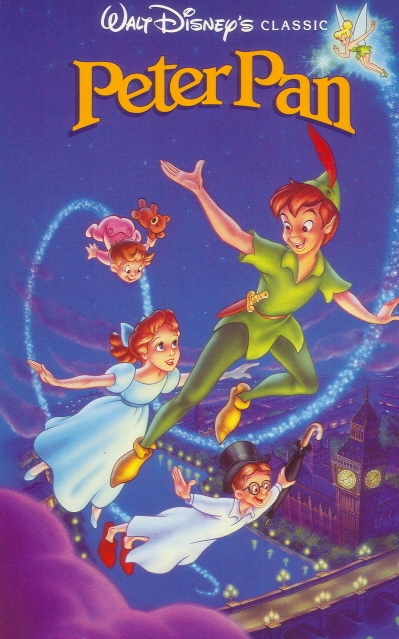 Although I always found Peter, the character, annoying, the story never fails to enchant me. :) I also loved Alice in Wonderland, though. That's probably my all time favourite (followed by Peter Pan, Beauty and the Beast, and Snow White). I know what you mean about the books. Some bloggers try their best to show their readers that they love reading, and they show off all the books they buy and read, which isn't really necessary. I also love reading, but I'm sure that it's not the first thing one of my followers would associate with me. Heyy Yasmine! It's been so long, I've missed you too! And yes I too have to blame myself for not being very active on blogger and not visiting friends hahah. And finally someone gets what I mean by the whole reading thing. Alice in Wonderland is fantastic I agree! I'm so sorry I've been so slack Sophie but I finally wrote my post! :D Thanks so much for the tag!